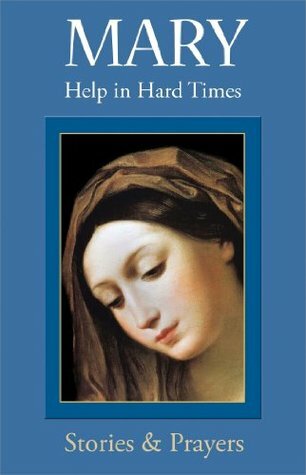 "Discussing four of the Blessed Virgin's roles, Mary: Help in Hard Times is a combination of history, stories, and prayers in an approachable, practical size. Divided into three distinct sections, the book's first segment discusses four key moments of Mary's life. The second section contains personal stories of Mary's intercession, and the book closes with various Marian devotions and prayers. An added feature is the reflection questions after each section. Bringing strength to those who feel overwhelmed, Mary: Help in Hard Times is a hope-filled companion for everyone." "Since then, Catholics and other Christians have held Mary in a unique place of honor. Her journey of faith is a model for our own. Through the Communion of Saints, as members of the one Body of Christ, she still helps us now. It's as if every time we ask her help, the curtain between earth and heaven is drawn back and blessings flow more abundantly, like a vast waterfall of grace." I found this to be a powerful and moving book. I have always had a devotion to Mary, and in many ways turn to her in ways I never could or would have with my mother. In my darkest hours it was Mary whom I relied on. And this book has helped to deepen my devotion to her. I love that my children go up to the statue of Mary after mass, and after confession, I love that they want to spend time with Mary. I love that they kiss the statue or their hands and touch the statue. After reading The Saints Pray for Us, I loved it so much I bought a copy for each of my children and their school teachers. This is a book I will be buying for each of my children as they get to be a bit older. Next to Scott Hahn's Hail Holy Queen this is my favorite book on Mary to date. So what is the point of all this? It shows that everything about Mary leads back to Jesus. In calling her Mother of God, in fact we are affirming the truth that Jesus is both God and man. Whatever the Catholic Church teaches about Mary is rooted in its faith in Jesus Christ. The Catechism of the Catholic Church states this very succinctly: "What the Catholic faith believes about Mary is based on what it believes about Christ, and what it teaches about Mary illumines in turn its faith in Christ" (no. 487). Every teaching about Mary, whether it concerns her virginity, her Immaculate Conception, her Assumption, or her maternal mediation, is rooted in Jesus Christ and leads us to a deeper knowledge of him. Mother and Son are always found together. So we don't have to worry that if we honor Mary, we will forget about Jesus. Not at all! In fact, the great Marian shrines around the world are places of pilgrimage not just to honor Mary, but also to honor Jesus. Lourdes, for example, is famous for its Eucharistic procession, where Jesus in the Blessed Sacrament is honored and invoked." And that is what this book will help do, It will help root us deeper in Christ Jesus through Mary. This is a wonderful book and I highly recommend it.